NEW BRITAIN - For the first time in the program’s brief history, the Innovation boys basketball team is heading to the postseason. 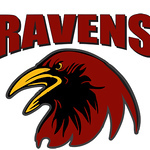 Behind a dominant defensive performance as well as a game-high 16 points from Carlos Gonzalez, the Ravens beat Achievement First 60-28 Wednesday night, qualifying for the Division V tournament. Innovation started playing varsity boys basketball as Med-Ed Prep in 2015. Innovation jumped out to a 21-point lead after the first quarter and never looked back. Achievement first was held to single digits in every quarter expect for the last, but by then, then game was well out of reach. Santino Neil led Achievement first with nine points as the Ravens moved to 8-5 on the season. Southington 44, Newington 30: Utilizing a one-sided second half, the Blue Knights earned their 11th victory of the season. Bri Harris scored a game-high 18 points, 16 of which came in the second half. Of those 16 second-half points, nine came in the final quarter of play. Janette Wadolowski added 16 points of her own to Harris’. The Blue Knights’ senior also pulled down 12 rebounds. Ashanti Frazier finished with a double-double for Newington. The Indians’ sophomore scored a team-high 15 points and had 10 rebounds. She also had four steals. Her teammate, Olivia St. Remy, finished with just two points, but had nine rebounds. Bristol Eastern 72, Berlin 6: It was a tough night for the Redcoats. Berlin won just one match - Dan Veleas at 125 pounds after he pinned Nolan Short in 3:06. Veleas moves to 25-2 on the season. Middletown 60, Plainville 15: The Blue Devils couldn’t tame the Blue Dragons. Plainville won just three matched on the night. At 152 pounds, Alex Hernandez pinned Middletown’s Zach Rivera in 1:53. At 160, the Blue Devils’ Caleb Korona pinned Shyheim Lespier in 2:45. And at 170, Ty Pales beat Middletown’s Jake Bowen 7-4. Posted in New Britain Herald, Berlin, Innovation, Newington, Plainville, Southington on Wednesday, 31 January 2018 22:55. Updated: Wednesday, 31 January 2018 22:58.